Fujifilm's X RAW STUDIO processing software is now available for Mac users. First announced at last year's Photokina show, the software makes use of Fujifilm’s X-Processor Pro in order to process Raw files at speed. This means the camera has to be connected to the computer through its USB port, but once it's plugged in you can opt for single or batch conversion for Raw images, and process images with before-and-after panels to guide you. You can also save, load and copy your conversion profiles, transferring them to other Raw images for a quick, streamlined process. Mac users can download the software now, free of charge. Windows users will have to wait for their version, currently slated for a February 2018 release. 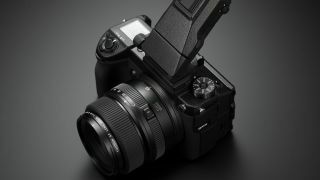 Fujifilm has also announced firmware updates for a few of its cameras, enabling compatibility with the new X RAW STUDIO software, as well as some other features. Addition of “Eye Sensor + LCD Image Display” in View Mode, best for users who prefer to shoot through the viewfinder then check images on the LCD. All Fujifilm firmware updates can be found at the official website.